Throughout the last several decades Jewish Renewal has accomplished some truly important things. We’ve founded important institutions, most notably Eilat Chayyim, ALEPH: Alliance for Jewish Renewal, OHALAH and our many divergent spiritual leadership training programs. Hundreds of Jewish spiritual leaders are serving their communities in significant ways. During these years the Renewal movement has also had an important impact on the different denominational streams of American Judaism and we have found greater acceptance nationally. In my estimation, however, we have not done enough to actively disseminate or perpetuate Reb Zalman’s and our movement’s legacy. In his annual addresses to OHALAH, Zalman has repeatedly stated that the Jewish Renewal Movement is a secret that most of America’s Jews know nothing about. We believe that the unique spiritual riches that were pioneered by Reb Zalman and the leaders of Renewal could open the luminous world of the Jewish spirit to tens of thousands of seekers who have never heard of our movement. The population most notably missing from Jewish Renewal are the younger adults, Jews in their 20s, 30s and 40s. This is a significant loss for our movement. Without members in this age range to carry on our legacy, we believe that Jewish Renewal as a distinct movement will fade and disappear. In recent years we have seen the exciting development of an independent Minyan Movement across the U.S. This phenomenon demonstrates that there are serious young Jews who have the motivation to create for their generation what those of us who started the “Havurah movement” and “Jewish Renewal” accomplished in the 1960s and 1970s. It is my impression, though, that the independent Minyan Movement appeals, by and large, to a select stream of traditionally-minded younger adults. But what about the huge population of unaffiliated young Jewish adults who know little about Jewish spirituality? Many of these individuals might be drawn to and benefit from Jewish Renewal, if they knew anything about it. We are speaking about those young people who see themselves as “spiritual but not religious.” They have a covert longing for God or for the Spirit, but are currently uninvolved in any kind of Judaism or Jewish spiritual community. A movement such as our own that offered a link with the wisdom of Jewish tradition, the possibility of warm and intimate intergenerational community, and a sincere commitment to tikkun olam might be a draw for large numbers of younger unaffiliated Jews. The key, though, has to do with how we present ourselves and our movement to these seekers. 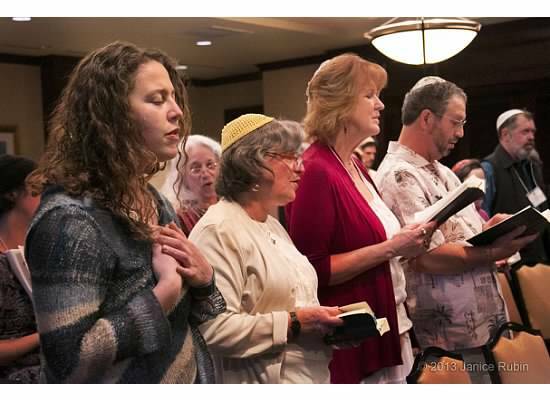 About five years ago I noticed that there were relatively few younger adults involved in the congregation that I co-founded and serve, Kehilla Community Synagogue in Piedmont, California. Curious and concerned about the missing generation, I began to interview young adults—some members of Kehilla and some unaffiliated—in order to understand why so many of them felt alienated from the synagogue. Those that I spoke to, however, criticized my question. You are worried about perpetuating Kehilla, they told me, but that is not our concern. For us, the question would be: In what ways might Kehilla actually serve our needs? I believe that it is legitimate for those of us who identify with the institutions that we have helped build to be concerned about their future. At the same time, though, I think it unwise to base our outreach work on this notion. Rather, we need to align ourselves with younger adults and their Jewish and spiritual needs. So instead of posing the question, “Where are the younger Jews?” or “How can we involve younger Jews in Jewish Renewal?” I believe that we should re-frame the issue in a way that emphasizes how we might serve the needs of younger Jews. What resources do we have in Jewish Renewal that might offer younger unaffiliated adults a greater sense of connection with the Divine, with Torah, with other people, with community and with the Jewish people? I can’t overemphasize the importance of this point. Is it possible for Jewish Renewal as a movement, and for the particular communities that make up our movement to actually succeed in reaching out to younger adults? I believe that it is, and I would like to offer some evidence for this assertion. Let me begin by briefly profiling two different communities that have succeeded in such an endeavor. Some years ago a young conservative rabbi, Sharon Brous, started a community in Los Angeles called IKAR. Rabbi Brous writes the following about her experience with this large community of younger Jews: “Young, savvy, well-educated Jews are looking for a sense of connectedness and responsibility that stretches beyond the narrowness that has come to define the American Jewish community’s agenda. In a time of war, poverty, terror, environmental destruction and radical social upheaval, people asking the basic question of what it means to be a Jew and a human being in a world on fire are not finding answers, indeed many of them are no longer even looking for answers, in their local synagogue.” Although IKAR does not bill itself as a “Renewal” community, it is clear that the values that have for decades characterized Jewish Renewal are the values of IKAR. A second model we can look to is Romemu in Manhattan, which is affiliated with ALEPH. Romemu appeals to younger adults and families, and it is intergenerational, a value that I believe is extremely important for the future of Renewal. The founding rabbi of Romemu is David Ingber. All his life David dreamed of creating a Jewish place where anyone of any background or denomination could come and pray in an integrated way, exercising his or her body, mind and soul. Romemu was formed in 2006 and now offers Shabbat and holiday services infused with meditation and yoga, as well as a myriad of community groups, teachings, and events. Romemu is a progressive, fully egalitarian community committed to tikkun olam and to service that flows from and identification with the sacredness of all life. IKAR and Romemu are relatively new communities, purposely formed to reach younger adults. In my estimation we need to create a program designed for to train of younger adult leaders to initiate and serve communities like these. What about existing Renewal communities? Is it possible to transform current Jewish Renewal communities so that they will be able to welcome and serve younger adults? The answer is a qualified yes. I use the adverb “qualified,” because I believe that this task will not be easy. They offered young adults leadership that was accessible and charismatic, and they offered the possibility of developing relationships with the congregation’s spiritual leaders. They also developed a cadre of young lay leaders whose contributions were frequently acknowledged. They met young congregants where they were, finding ways to demonstrate that young congregants’ presence was valued. They held regular Shabbat dinners. They geared services to the sensibilities of young people, involving them in leadership. They developed exciting classes specifically directed toward younger congregants. They offered young congregants’ a sense of ownership in the congregation, and they reduced the fee structure so that participation became financially viable. They made the quest for finding God central, and they acknowledged that young congregants’ interests in religion are multifaceted. They offered young congregants ways of helping the needy and the homeless. Belzer advises Jewish leaders who wish to engage with young adults, and bring them into the synagogue “to learn to speak their language. It is a language of openness and pluralism, one that acknowledges the fluidity of their Jewish identities. On a practical level, it begins with leaders’ sincere interest in making room for young people to take on leadership roles.” And we would hasten to add, value their contributions. It is our perception that communities such as IKAR and Rommemu work so well because of the magnetism and “rebbe”-energy of their founders. The study commissioned by Synagogue 3000, Synagogues That Get It, summarized above, also found that the successful congregations had developed programs that offered young adults leadership that was accessible and charismatic. This is something that we in Jewish Renewal know something about from the work of our own founder, Reb Zalman, and from our connection with our Hasidic lineage. Thus, an important key in crafting a Renewal approach to outreach—whether in creating new communities, or in opening existing Renewal communities to younger Jews—will be the development of a training program in rebbe-craft for gifted younger leaders and potential leaders. With further engagement of younger generations and families, it would be prudent to consider children, especially those who are post B’nai Mitzvah. While Hebrew Schools and B’nai Mitzvah training are often handled well enough by synagogues alone, engaging youth between the ages of 13 and 18 and when they are in college requires a more cohesive, movement-wide strategy. While programming for individuals in their twenties, thirties, and forties is important, it is far more sustainable to maintain engagement from childhood on than it is to attempt to reengage both new young people and those who have fallen out of the movement. Maintaining patronage in any business or organizational setting is far less expensive and easier to manage than constantly seeking new engagement. In relation to ages 13-18, I would suggest ALEPH work in collaboration with Renewal communities to create year-long engagement programs, while also focusing their efforts on developing engaging summer programming that would appeal to that age group. I’m sure it is entirely understood that any initiatives we undertake are entirely experimental and must be instituted progressively with as much room for adaptability as possible. As long as explore these programs in this mindset, coupled with perseverance and patience, we will see a multi-generational Jewish Renewal that continues to flourish and grow. Burt Jacobson is the Founding Rabbi of Kehilla Community Synagogue in the East Bay. This article is a condensed version of Rabbi Burt’s and Amitai Gross’s longer paper entitled, “Jewish Renewal: The Next Generation.” The International ALEPH Kallah this coming summer will feature an intergenerational program that is currently being developed by ALEPH’s Executive Director, Joe Laur, together with a group of younger and elder Jewish Renewal leaders. There are also plans afoot to focus on the issue of the future of Jewish Renewal and outreach efforts to younger Jews at 2014’s OHALAH conference. Posted in Hot Topics and tagged jewish continuity, jewish life, kesher. Bookmark the permalink. Well I am a young adult (31) interested in Jewish Renewal. All movements are having difficulty in getting my generation to be active in the community although I know more 20s-40s interested in Renewal than any other denomination/movement! It would help if there was more of a presence here. The fact that Renewal is nowhere near me (or “us” as I can count 7 Jews who are more Renewal than anything, all but one is in your target age range) does not help although I know several people who are all interested in the movement and complain about the lack of a Renewal presence in Georgia. The one renewal group we had is apparently dead. Personally I like what I’ve read about Renewal so much that I want to do the Aleph program (which I cannot afford) and possibly become a rabbi or pararabbi, but then it would not get recognised by the rabbinical council here. So there are people interested but it is really hard to be involved if there is no way to get involved in person and no community to join and the rabbis are not allowed to do anything here. Burt, I was involved for many years with Renewal groups when I lived in Colorado. I was always told very clearly by folks that Renewal did not want to view itself as a distinct movement; rather, it very much wanted to NOT be a movement and be viewed as a philosophy that infuses other movements. How/when did that change? Or was that never the view, and the people who shared that view with me were mistaken? JMW, I compare Jewish Renewal to Apple Computer. We have our own platforms, like affiliated communities and an ordinations program for rabbis, rabbinic pastors and cantors. But our software can run on anybody else’s platform as well. We have communities that are dual affiliated with Reform,Conservative, Reconstructionist. We play well with others. I don’t think we are a denomination in the traditional sense. But we are certainly a movement in the broad sense of the word, as well as a ever evolving paradigm shift. Makom Ohr Shalom in Encino, California welcomes everyone who is in Los Angeles County to check us out. Reb Zalman has lead our High Holiday services for many years now. We bring in Shabbat together the first and third Fridays of each month. I am a member of a Chawurah in Basel, Switzerland. I attended the Kallah twice and I loved it! Reb. Zalman helpt us 30 years ago to learn the renewal of praying and become a strong group. – we are a small group which stayed more like family.